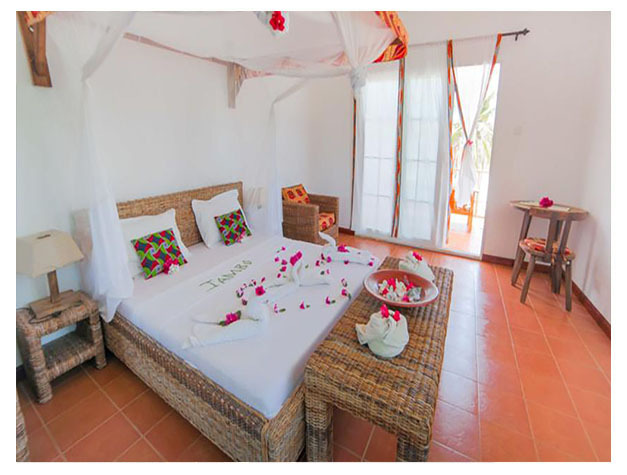 Situated on one of the most beautiful beaches in Zanzibar,Dongwe Ocean View Hotel offers luxurious accommodation with a mix of contemporary and Tarran-style décor. The rooms feature air conditioning, a seating area and a minibar. 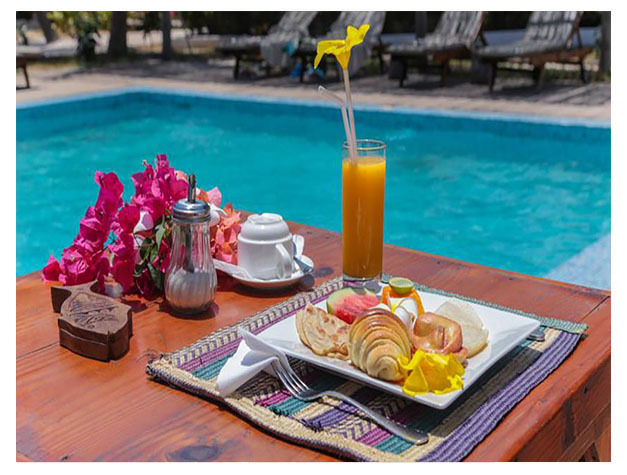 The hotel features an outdoor pool, thatched-roof huts with relaxation beds, and an outdoor wooden deck with sun loungers, all facing the Indian Ocean. A breakfast buffet is served daily. The restaurant serves a variety of local and international cuisine, and traditional mouth-watering barbecue dishes, overlooking the ocean. Guests can sunbathe on the beach and relax with a refreshment under the 2 terraces. Activities at Ocean view Hotel include snorkelling, kite surfing and diving. Jozani Chwaka National Park is a 30-minute drive by car. Enjoy a day of sightseeing in historical Stone Town, which has shops, markets, eateries and ancient architecture, a 50 minutes' drive away. Zanzibar Airport is a 1-hour drive away by car. Ocean view Hotel offers guests free parking. This property is also rated for the best value in Pingwe! Guests are getting more for their money when compared to other properties in this city.